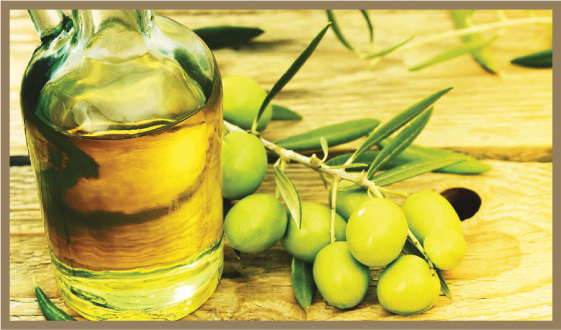 Health Benefits of Extra Virgin Olive OilWith its makeup of rich polyphenols, antioxidants and monounsaturated fatty acids, extra virgin olive oil (EVOO) carries significant medicinal value as part of a plant-based or Mediterranean-style diet. Studies comparing refined olive oil to EVOO have proven that the monounsaturated fat is not the source of olive oil’s health benefits, though that type of fat is considered a good source of dietary fat. Rather, oils with higher phenol content are related to more health benefits than lower phenol content oils. A four-year study that concluded in 2015 study showed that EVOO helped reduce the risk for breast cancer in some women by nearly 70 percent. Higher phenol oils, such as the flavorful premium varietals offered by Gustare Oils & Vinegars, provide healthful antioxidants which slow natural oxidative processes and limit oxidative stress on the body. Early-harvest, first-press olive oil varietals in particular have consistently high levels of polyphenols. Other true EVOO varietals that meet extra-virgin standards — with less than 1% free fatty acid, no chemical adulteration or sensory defects — still carry disease-fighting elements, though the higher phenol content oils carry a greater potential health benefit. The new, innovative supplier standards can exceed chemistry requirements followed by the USDA and other international regulators for producers to label their oils as extra virgin. This ensures a quality product for health-conscious consumers that want to maximize the healing effects of true EVOO. Studies Show“Published studies show that no other food comes close to extra virgin olive oil for the prevention and treatment of chronic disease,” says Dr. Mary Flynn, PhD, RD, LDN, senior research dietitian and associate professor of medicine (clinical) at The Miriam Hospital and Brown University.